I am stoked. I am not going to lie, there is just something good for the ego about being asked if you would like to be in a magazine or newspaper or a blog or whatever. As a journalist, I have interviewed hundreds and hundreds of people over the years, or found people to feature in stories. When the shoe is on the other foot and it’s a journo or editor approaching ME, I feel kind of like, “You want to interview ME? I feel like I should be interviewing you.” It makes me feel all flattered and coy. I was asked to pick some of my favourite products at the moment (no easy task). 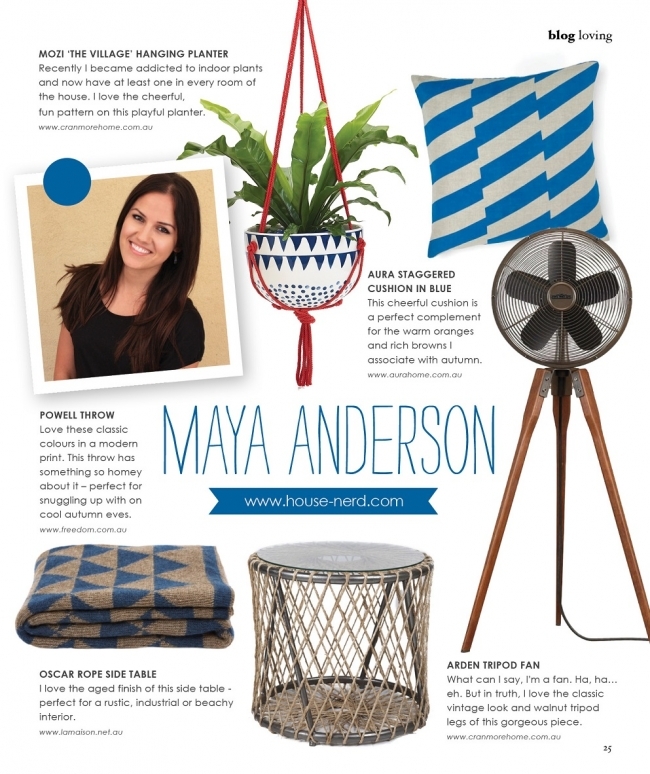 I picked things I would love to have in my own home. 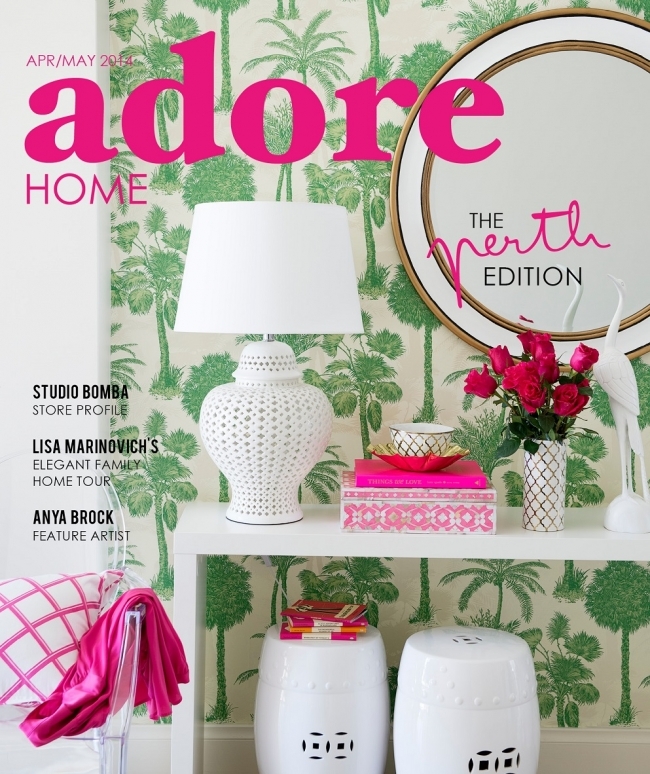 There are a few people I know in this Perth-focused issue. My talented buddy Meghan Plowman from The Orchard is featured - you would have seen some of her gorgeous styling and photography through House Nerd or you probably know of her cult following on Instagram! There’s a big feature on Tracy Lefroy – you might remember I wrote about Tracy’s beautiful farm last year. She founded the very cool shop Cranmore Home and she has to be one of the nicest women in homewares and interior design you will ever meet. Coco Republic stylist Samantha Tatulli shares her beautiful home (and bulldogs) – Sam is one of those effortlessly cool people and her house has that same ‘just casually thrown together but it looks freaking awesome’ feel to it. It is currently making me green with envy. Oooh and I noticed the pretty work of my stylist friend Bec Tougas making an appearance on page 69 with her beautiful handcrafted concrete gems. There’s also a gorgeous house by Lisa Ewart and her Collected Interiors team (I have interviewed Lisa a couple of times on her beautiful projects for House Nerd here and here, and like me, you guys loved her work). There’s also a great feature on the clever people at Studio Bomba, which is a very cool concept store and cafe that you must visit if you haven’t already, I love their breeze blocks. Ok I’ll stop now. But trust me, you should just read it. It’s an awesome issue! 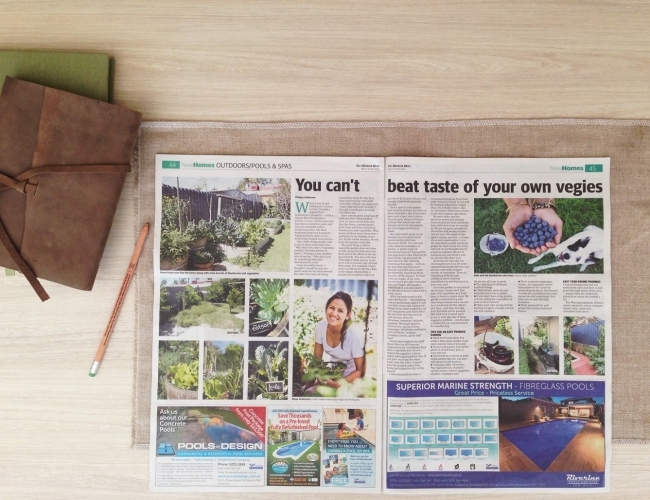 I was also in The West Australian’s New Homes section on the weekend, yakking on about turning our barren backyard into a home vegie garden. Everyone was like, “You’re in the paper!” It was funny. I mean technically I am kind of in the paper every weekend, because I write for the paper, but this time the story is about us and what we did, not on someone else and what they did. It was strange but nice. And there’s a photo of Nala too! She was stoked to be in the paper, eyeing off blueberries, one of her 852 favourite foods. Thanks Tanya! How nice is it. I would love it in our lounge against our dark grey walls.